This time of year is prime time for baking with apples. Of course, anytime of the year you can go to your local grocery and grab a bag of Granny Smith, Golden Delicious or Macintosh apples, but there is something special about apples when they are in season. Right now the orchards are harvesting some of my favorite eating and baking apples… and I love to take advantage of the great varieties that are available. My personal favorite for eating and baking is Honey Crisp, which is a newer apple variety and is becoming more available each season. I also really love a great Northern Spy. This apple is an heirloom variety that my great-grandmother used in her fall baking. Although not great for eating, this type is great used alone in baking, or combined with Honey Crisp. For this recipe I chose to use Northern Spy apples, but any tart, firm baking apple will do. These muffins are great snitched straight out of the oven, warmed with vanilla ice cream or with a great cup of coffee for breakfast. The addition sour cream, as with many other baking applications, makes these muffins super moist, with a uniquely rich flavor. This recipe makes two dozen muffins, which is a great way to share the bounty with friends! For Muffins: Combine all dry ingredients in large bowl. In a separate bowl blend all wet ingredients well. Mix wet ingredients into flour mixture, then add diced apples. 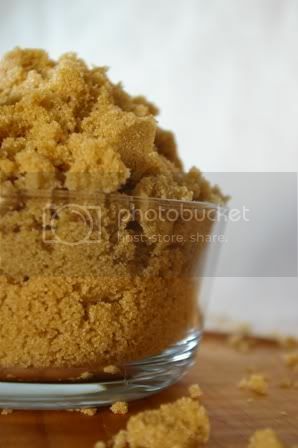 For Topping: With hands blend sugar, flour, cinnamon and softened butter until mixture reaches a crumb-like texture. Preheat oven to 400 degrees. 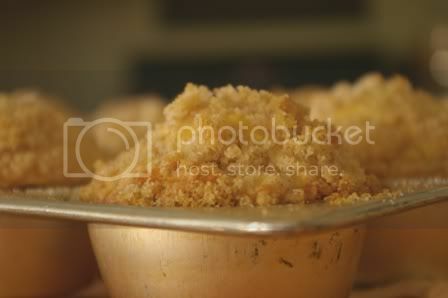 Grease muffin tin well and fill each section ¾ full with muffin batter. Top generously with streusel topping. Bake at 400 degrees for about 20 minutes. To test: gently press the top of a few muffins with your index finger, if the top gives and then springs back the muffins are done. Gravy is a staple for nearly every meal at my house… especially around the holidays. The many cooks in my family all have different methods of making gravy, whether it is water and flour, reduction or heaven forbid corn starch! Through the years I have been taught each of these recipes, but I have my own varition that works without fail. This variation has also earned me the seat of gravy maker at our house. The key to a good gravy is a good stock. I often make chicken stock in a large batch, so I can use it in many recipes. 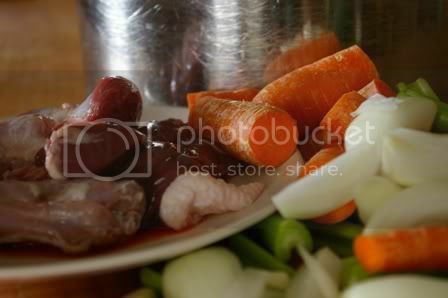 Simply start with a whole chicken, or trimmings then simmer for a few hours in a large pot with onions, celery and carrots. Be sure not to let your stock boil, this will cause the stock to become cloudy. With the Holiday season upon us, we begin to start fearing the inevitable winter weight gain. Everyone indulges in the once a year treats and eats and usually this results in at least six new pounds! This year, rather than running from the unavoidable- Embrace the Weight! 2009 is just around the corner and simply make that your year to look good! My new recipe for Caramel Cupcakes with Caramel Buttercream Frosting is just the thing to start you off on the right foot. Even better- make a bunch and share them with friends! Growing up it was tradition in our household to have special birthday dinners– whatever the birthday boy or girl wanted they could have. Now those requests range anywhere from sushi to veal chops, which is a far cry from roast beef and jello cake! For about six birthdays in my teenage years I kept it very simple by requesting my all time favorite side dish– Corn Pudding. Of course, the other menu items varied greatly from year to year, but my moms special corn pudding was a constant. Each summer the women in my family make freezer corn. This corn is cut off of the cob and frozen in its peak season, which makes it extra sweet and flavorful. We use this freezer corn in our corn pudding. I have come to realize that not every home cook has the luxury of freezer corn, so I made our recipe with canned cream corn. I had to adjust the sugar a bit and tweek a few things, but overall the recipe is just as tasty. With thanksgiving just around the corner you should consider making this recipe a new addition to your menu! The original recipe calls for the pudding to be baked in a 9x13 inch pan. To change things up a bit I made six individual portions instead. You can choose either option and simply adjust the baking time. 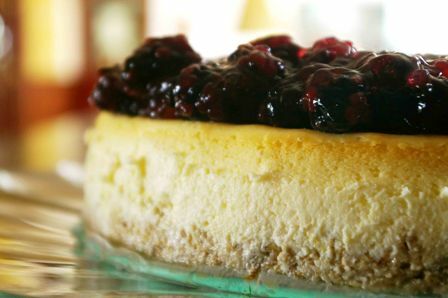 Of all of the recipes I have ever created, my recipe for cheesecake is the one most often requested. This recipe is simple with rich flavors of cream cheese and tart lemons- and can be made ahead a few days before serving. I love to pair this recipe with a quick and light berry sauce- you can use whatever is in season or frozen berries work great in a pinch! Pour graham cracker crumbs into 9 inch spring for pan. 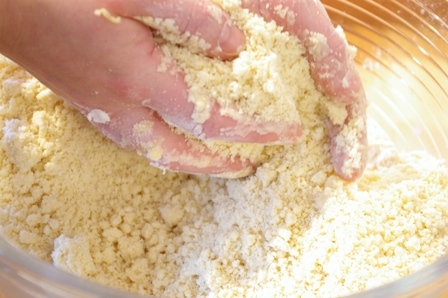 Whip cream cheese in mixer until fluffy, add remaining ingredients and blend until smooth. Pour cream cheese mixture over crust and gently hit the bottom of the pan on the counter (about 10 times) to let the air bubbles out. Place pan in baking pan with a high edge and fill pan with water- about 1 inch up the side of the spring form pan. Bake at 325 degrees until top is lightly golden (about 45 minutes). If the top begins to crack you are beyond done. Cook water, sugar and jell-o in medium sauce pan until it boils. 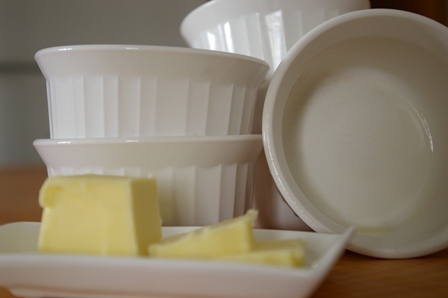 Create a slurry with clear jel with just enough water to make a thick paste. Pour slurry into boiling mixture and remove from heat. Allow mixture to cool slightly then fold in berries. Chill and then spread over cold cheesecake. Today as I was sorting through my daily mail that usually consists of junk, bills and the occasional card I came upon something out of the ordinary. There, addressed to me, was a letter from my alma mater. This envelope was especially interesting because it looked like the poor person who addressed it had the same terrible hand writing as I have been cursed with! Upon further inspection I realized that I had, in fact, addressed the envelope… was this some kind of joke? No, this was a letter that I had written to myself five years ago, in my junior year of high school! I had completely forgotten about this assignment, but was impressed to see that a younger me had written quite a long letter! Five years have past and so much has happened to me since. I achieved every goal I had set for myself way back then: get scholarships, go to a good culinary school, and become an Executive Chef. I have maintained certain things that I have always been most important to me, it is still my top priority to feed my family, to cook for others and to be hospitable. I don’t know where I will be five years from now, but I know that those things will never change. Thank you Mrs. E. Miller for sending those letters… it was a true joy looking back. After taking a trip down memory lane I thought I would make something very special. When I was a junior in high school I made it my quest to create the best apple pie. I was practicing and planning for a $25,000 scholarship to a very prestigious culinary school- an apple pie baking contest. For two years I devoted myself to researching apples, crust and pie baking techniques. I baked over 100 pies and recorded my finding in an “apple pie journal”. I did not win the competition (which is something I am still bitter about and is another long story) but I did perfect my apple pie recipe! Being a chef I am often asked what my favorite food is. I know that when people ask that question they are expecting my answer to be some fancy food with an unpronounceable French name-it’s not. Don’t get me wrong, I love pate and foie gras as much as the next person, but the food I crave the most is much simpler. The food that I missed when I left for Culinary School in North Carolina, the one thing I could never tire of and one of the few dishes that I will EVER eat left over the next day is (this almost deserves a drum roll)… Roast Beef! This past weekend my mom took a trip to our favorite “club store”-which could mean only one thing-lots and lots of beef! Oh yes, when my mom makes the 50 minute drive north she comes home with not one, but four HUGE beef roasts. This may seem over the top for some folks, but not us! We make all four roasts and freeze whatever we don’t covet the first day. This beef is so versatile- it can be served over pasta, with brown rice and gravy, in a soup, on a sandwich, for a midnight snack- Oh the possibilities are endless! The way that my mom prepares our roast beef is the simplest, yet most flavorful way I have ever tried- and like the saying goes “The lower the heat, the better the meat”. After pan searing the meat is slow cooked until it is melt in your mouth tender. My mom and I took the time to take step-by-step photos of this process, so I hope when you get a chance to make this recipe you will agree-this is the best food ever! 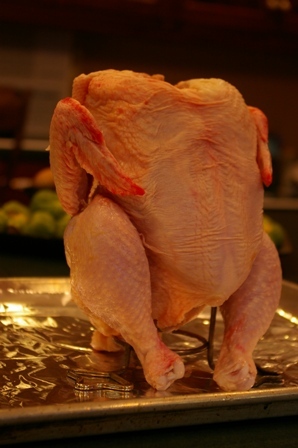 Many chefs frown upon the use and/or consumption of chicken. Perhaps this is an un-known truth, but to many culinary professionals chicken is thought to be flavorless, bland and worst of all boring. I, however, disagree. In doing so I might subject myself to a fair amount of hazing from any self-proclaimed foodie! I like chicken because it is moderately priced, accessible and can be quiet tasty when prepared correctly. The following is my recipe (if you can even call it that) for what I consider to be The Perfect Roasted Chicken. Rather than complicating a simple process I prefer to bring out the natural flavors of the meat. All you need to prepare this feast for five is one whole 3-4 pound chicken, olive oil, kosher salt, and fresh cracked pepper. 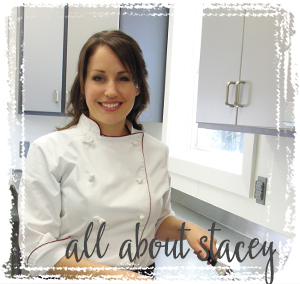 It is my goal to share my passion for food and inspire others to enjoy life’s simple pleasures. 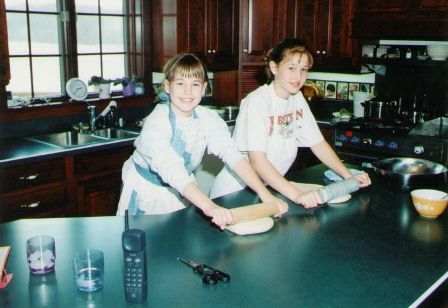 For generations wholesome, traditional cooking has been a way of life for my family. Some of my fondest memories have been made gathering around the dinner table with loved ones, frying bacon and eggs for farm breakfasts and working alongside the cooks I look up to. 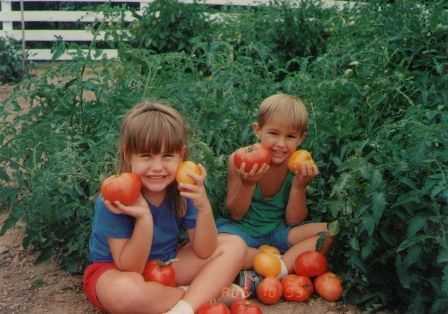 The importance of quality ingredients, patience and a love for hospitality were instilled in me early on. 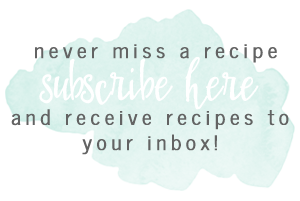 I am excited to share with everyone recipes and techniques that I have been taught as well as some that I have discovered along the way. My approach to cooking is simple- innovation inspired by traditional methods. With an open mind I explore flavors, processes and unique concepts. I am intrigued by the art of bringing out foods natural qualities through caramelizing, roasting and slowly reducing.